This story is about the Heroes of “Dixie” who are Commemorated during Confederate History and Heritage Month in April; proclamations are to be signed by Governors, Mayors and County Commissioners in their remembrance and honor. 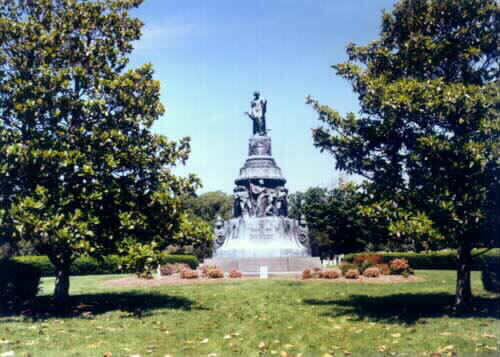 In 1906, the United Daughters of the Confederacy asked permission from William Howard Taft to erect a monument. Taft was at the time serving as the United States Secretary of War and was in charge of National Cemeteries. 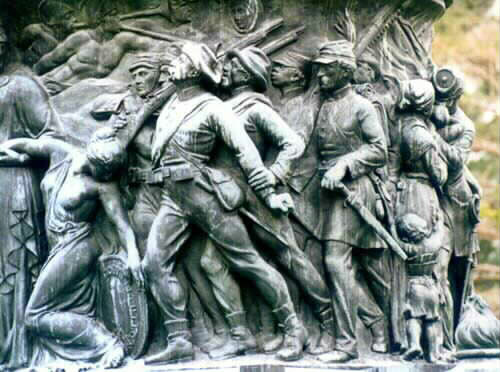 With his permission, the Arlington Confederate Memorial Association was formed and the ladies of the UDC were given authority to oversee work on the monument. An agreement and contract was made with Sir Moses Ezekiel – a Jewish Confederate Veteran – the record of his service at the Battle of New Market while he was a Cadet at Virginia Military Institute. Work started at his workshop in Italy in 1910, and upon his death in 1917, the Great Sculptor was brought back home and buried near the base of the Arlington Confederate Monument. Sir Moses Ezekiel was honored in his life by being Knighted by the German and Italian Governments. On June 4, 1914, the Arlington monument was unveiled to a crowd of thousands that included former Confederate and Union soldiers. The Memorial Event was presided over by President Woodrow Wilson and the people applauded the stirring speeches given by: General Bennett H. Young, Commander In Chief of the United Confederate Veterans; General Washington Gardner, Commander In Chief of the Grand Army of the Republic and Colonel Robert E. Lee, grandson of General Lee. Since Woodrow Wilson, wreaths have been sent to both sections of Arlington, including the Confederate section, to honor those who died for freedom. Some Presidents have also spoken at Arlington on Confederate Memorial Day.